seismic shifts in the attitudes and actions of winemakers throughout Chile. Peter Richards MW looks at how history has played a part in reshaping the country’s wine future. It was the middle of the night when the earthquake struck – at 3:34am on 27 February 2010. At magnitude 8.8, this was one of the most powerful ever recorded, unleashing a tsunami and costing the lives of more than 500 people. 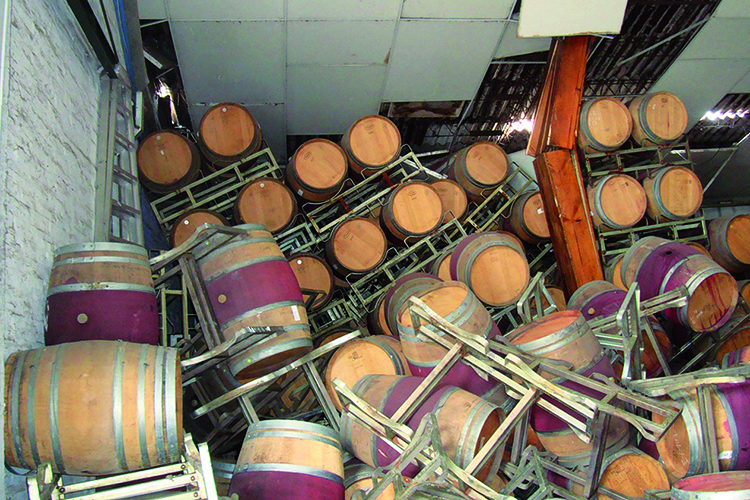 The earthquake’s epicentre was just off the coast of the Maule region, one of Chile’s key wine centres, but its impact was global: not just on Californian ports and Japanese fisheries but also on international insurance firms and, via instant media coverage, to a worldwide news audience. Living on a tectonic fault line fosters resilience. Despite major setbacks, the Chilean nation largely dusted itself off and carried on, just as businesslike (and fatalistic) as before. But some things were never quite the same, so the quake became a fitting metaphor for such contemporaneous changes. Although the 2010 wine harvest was carried out in difficult circumstances and made excellent wines, seismic shifts of a more subtle nature were taking place in Chilean wine, whose real effects would take a few years to manifest. It was as if the industry had gone back to the drawing board. It was a time when key winemakers began to re-evaluate the nature of their wines – stereotypically big reds and punchy whites – and seek inspiration not in international competition or markets but in their own history, geography and people. ‘We’re rescuing our history, our heritage,’ relates Fernando Almeda, head winemaker at Miguel Torres Chile. ‘Chilean wine has been developing so rapidly that we’ve lost sight of where we’ve come from.’ Ventisquero’s Felipe Tosso calls it ‘Chile’s maturing point’. 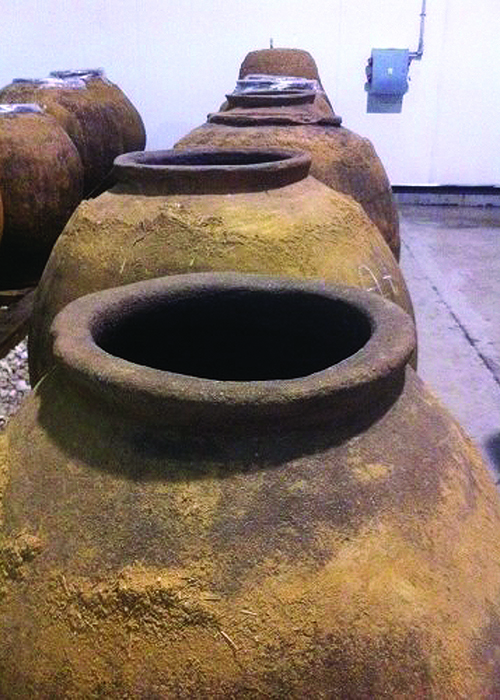 Chile has more winemaking history than is often acknowledged. The first vines are believed to have been planted in the mid-16th century – well before the marshlands of the Médoc were drained, for example – as Europeans arrived in Latin America. Quality was not a priority: the País grape, then widely planted, is thought to be descended from the largely undistinguished Listán Prieto of Spain and the Canary Islands. But the colonists did establish their vineyards in vine-friendly country that would have been familiar from home: rolling hillsides in temperate conditions close to the moderating influence of the sea. The original heartland of Chilean wine is thought to be the coastal hills around the ports of Penco and Concepción, in what is now Itata. Visiting the area, the history is palpable. ‘In Itata, you breathe tradition,’ comments Almeda. The gnarly old vines tended by similarly weathered smallholders sprawl across a scented, undulating landscape. vintage was 2011 and it has since been joined by a Muscat and Carignan. These days, Itata is a hive of winemaking activity. In addition to De Martino, the likes of García & Schwaderer, Rogue Vine, Pandolfi Price, Koyle, Montes and Tinto de Rulo are all names to watch, making thirst-quenching, expressive wines from scented Muscat to joyous, almost ephemeral reds. There’s an intriguing sparkling project (Itata Profundo) and even Chile’s biggest producer, Concha y Toro, recently joined the party, releasing a dangerously drinkable País-Cinsault blend under its Marqués de Casa Concha label, sourced from Maule and Itata. 1990s, one Chilean vine in three was País), it waned as demand centred on international varieties. But now it is enjoying a renaissance, largely due to the efforts of Miguel Torres Chile and its winemaker Fernando Almeda. It started almost as a social aid project. In an effort to help small-scale growers in the rural south, Torres launched a project to make a sparkling wine: País being suitable as a low-colour, relatively neutral, high-acid variety. The result was the Estelado rosé, which was well received by critics and got people talking. As well as setting up various Fairtrade alliances along the way, Almeda then moved onto a red País, the critically acclaimed Reserva de Pueblo – by which stage he noted how the project had evolved. In addition to the likes of País and Cinsault, there are interesting revivals happening with old-vine Malbec, Muscat, Pedro Ximénez and Semillon, among other varieties, some of which have been overlooked or misidentified in mixed field plantings. One intriguing example is Romano, believed to be the same as César in Burgundy, which Santa Carolina is reviving as part of its heritage programme, the wine being wonderfully juicy and elegantly textured. Another example, perhaps better known, is Carignan. While an increasing number of Chilean producers are making Carignan, nowhere is this revival more intriguing than with Vigno, the association of Carignan growers who have clubbed together to establish a shared trademark (or an alternative appellation, depending on your point of view). The idea is that producers who buy into the concept and make wines according to the set rules get to use the Vigno brand (short for Vignadores de Carignan). The rules are: to use a minimum 65% Carignan from dry-farmed bush vines that are at least 30 years old and growing in Maule Secano, aged for a minimum of 24 months before release. Twelve wineries initially joined the scheme, which was launched in 2010, the brainchild of local wine journalist Eduardo Brethauer and Gillmore winemaker Andrés Sánchez. The latter describes it as: ‘A quantum leap forward for Chilean wine – selling Chile to the world via wines with a unique sense of place.’ That Concha y Toro has recently joined Vigno is a powerful vindication for this unique initiative. For all the excitement over what might be termed the revival movement of alternative varieties, one task remains vital for Chilean wine: improving the quality and diversity of its Cabernet Sauvignon. This classic variety, which accounts for a whopping third of the national vineyard, is all too often blandly homogenous, over-ripe and overdone. Again, history is coming in useful. Similarly, Concha y Toro’s Marcelo Papa is a winemaker rejuvenated. Visibly animated as he explains how he’s harvesting Cabernet a month earlier than he used to, he buzzes around his new den of tricks: a cellar filled with large Italian oak vats that will replace the small oak barrels as the major ageing vessels for Marqués de Casa Concha Cabernet. For one of Chile’s most successful wines, which has made its name for being rich, ripe and creamy, this is a bold statement. It’s not easy to build castles on a shifting landscape. Nonetheless, the recent seismic shifts in Chilean wine augur well for an increasingly diverse and delicious winemaking future by taking inspiration from a fascinating, complex past. Chilean wine is growing up. While it’s difficult to predict how this process will play out, all around the world, people are sitting up and taking notice.